Energizer is a great brand and it is great that industrial strength batteries are available for important things like smoke detectors. Almost time to set the clocks for daylight savings time. The perfect time to replace all the batteries in an item that might just save your life. Good quality and value, will buy again. Thank you for the note reminding us about resetting the smoke alarm. We looked it up on YouTube and solved the beeping problem. We also like the plastic cover for each battery. Overall great quality and value. Highly recommend. 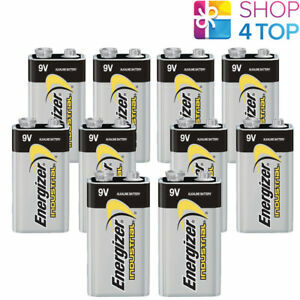 Energizer Industrial Batteries are good batteries. I use these in all my smoke detectors. I change batteries once a year even tho they still have a good charge in them. I’ve never gone wrong with Energizer batteries, there is a very good reason that the Energizer brand ranks as one of the best brands and sells the most, and that reason is quality.